We are the foremost auctioneers and asset managers to the health sector and the leading medical equipment resellers in Europe. Founded over 25 years ago, we actively created a market for used medical equipment and convinced hospitals to sell assets, developing processes specific to the health sector. 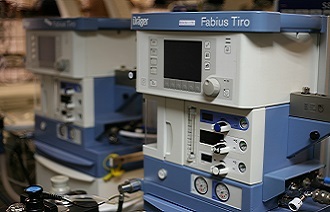 We continue to refine our resale offering and offer a number of associated services, including Medical Engineering. In addition to the core medical offering, Hilditch regularly supply laboratory equipment for use in scientific labs in niche industry sectors and educational and research facilities. The growth in demand for surplus lab equipment and our strong market position make Hilditch an ideal partner when selling or sourcing equipment for laboratories. Over 95% of all acute NHS Trusts – 250 NHS Trusts and the majority of UK Private Health Groups including Spire, Ramsay, BMI and HCA. We sell via auction and other sale routes, and offer our vendors a service tailored to their needs and maximising the value of the asset. We offer a global medical device remarketing service to our vendors; and serve the international medical market. Our website is the leading portal for medical equipment resale in Europe and hosts a number of medical auctions and sales every month, both traditional sales in our salerooms and live online auctions. Buyers can bid on our sales on our website 24/7. Our sales will contain stock from locations around Europe, or held in our Malmesbury headquarters, or satellite sites. We offer a Fully Integrated Disposal Service to the health sector, which involves the sale or disposal of all assets and cost reduction in disposal, not just high value items – click on this link to find out more. 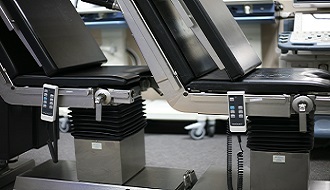 As the market leader with one of the largest inventories of new, used and refurbished medical equipment we are best placed to assist buyers in sourcing high quality medical equipment at affordable prices. We ask however that all potential buyers read our conditions of sale and the “how our sales work” page on our website, as all items are sold as seen.